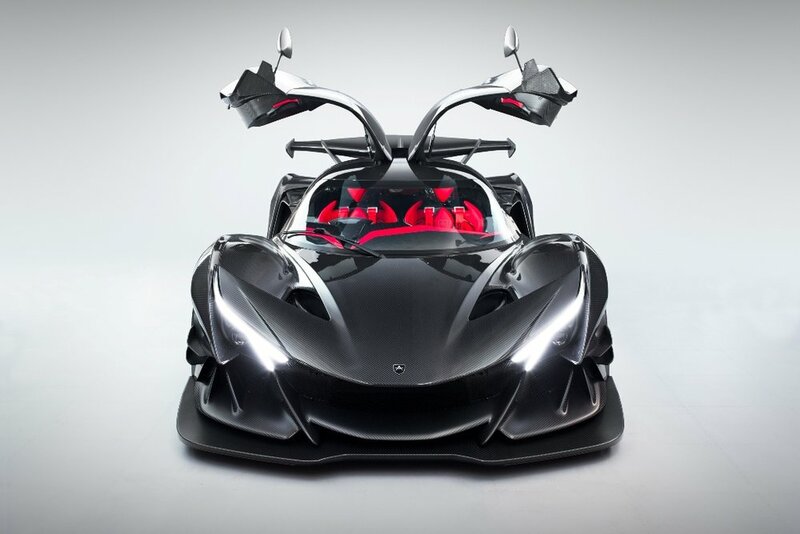 The Apollo Intensa Emozione, called Apollo IE for short, was unveiled today! 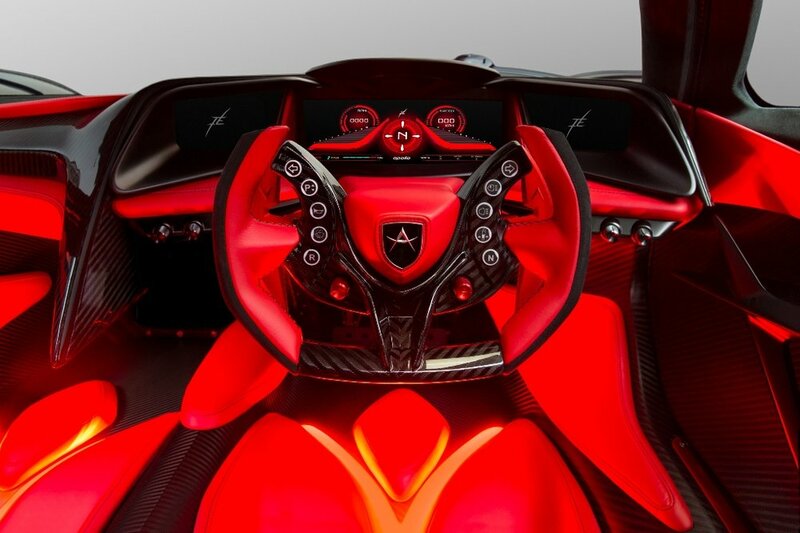 The car will be limited to only 10 production units and is meant to provide the driver with a modern yet nostalgically pure sensory experience. • Powered by a 6.3L naturally aspirated V12 pushing 780 hp and 9,000 rpm redline. 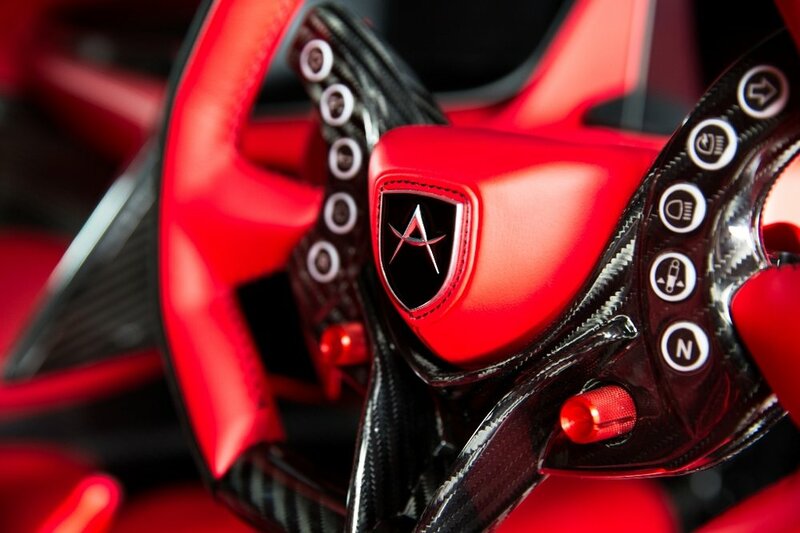 • Top speed of 208 mph and a 0 - 60 mph in 2.7 seconds. the front and 380x34 mm, 4-piston caliper at the rear. • Double wishbone with full push-rod and rocker arm architecture on both the front and rear. • Michelin tires allowing the car to achieve lateral forces in excess of 2G. • Bespoke all carbon-fibre chassis, including front and rear subframes, to create a lightweight and aerodynamically efficient shape. • Sequential 6-speed+Rev gearbox with fully interchangeable gear ratios. • Base price: $ 2,700,000.